June 22nd-23rd 2015 marked the fourth annual Magento Live UK event in London, the fifth if you include the original “Meet Magento” all those years ago. No UK MagentoÂ event would be complete without my thoughts and ramblings in accompaniment. 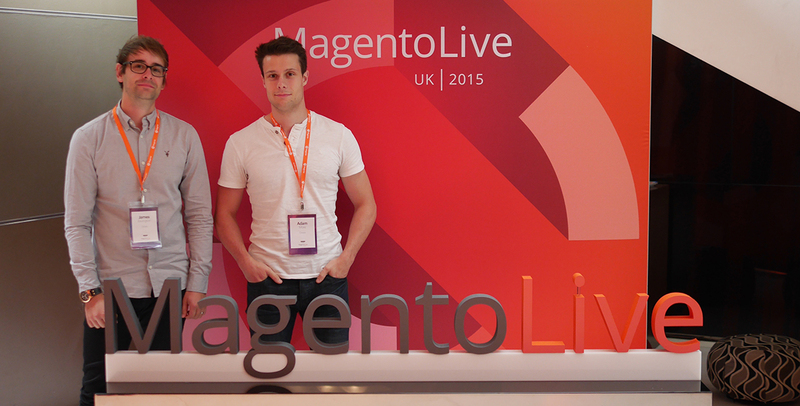 This year,Â myself (@adampmoss, @magentofox) and Creare Technical Director James Bavington (@jamesbavington) were in attendance for Magento Live UK 2015Â at the Park Plaza Westminster Bridge – a great venue.Â There ‘sÂ fewÂ better places in London to spend 12 hours underground on a hot, sunny June day. We arrived about midday on Monday, just in time for the Developer Deep Dive. I’m no doctor, but I’m fairly sure that sitting in the same position for 3 hours straight does no favoursÂ to one’s arse. Luckily for me and my soon-to-be-concrete backside, the content of the session was well worth sitting through. The session was hosted by everyone’s favourite Magento evangelist and former Magento U trainer, Ben Marks. He also mentioned using profilers such as the one built into Magento or XDebug to investigate where the problems crop up in the code. 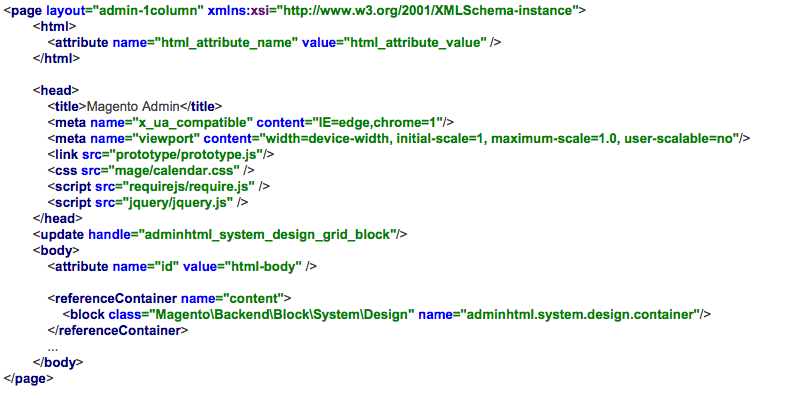 I feel sorry for anyone who tries to debug Magento without the use of profilers. The Northerner rounded off by recommendingÂ PHPSpec for unit testing. All theme files are now contained within the module directory, which makes modules easier to ship. It was wellÂ presented, but for someone like me with littleÂ knowledge in this area yet it was perhaps a bit too advanced. I literally need to go back to basics before I start developing Magento 2 modules. Client side there is now an AJAX add to cart, no longer any inline JS, minification of JS/CSS/HTML at compilation stage, better image compression, JS bundling and more..
We decided to attend a workshop help by Deryck Harlick Â from MageTraining and Brent Peterson from Wagento. The aim was to setup a Magento store and start selling in 90 minutes. It covered most of the basic admin stuff that I have to go through when I train staff and clients, so it was niceÂ watching someone else do it for a change. It was aimed at merchants rather than developers, but was still fun to watch. Despite the efficiency of the presentation I don’t think we’ll be using 90 minutes as a suggested lead time for customers going forward! So we’ve had pool tables, arcade machines, table tennis and girls on rollerskates. 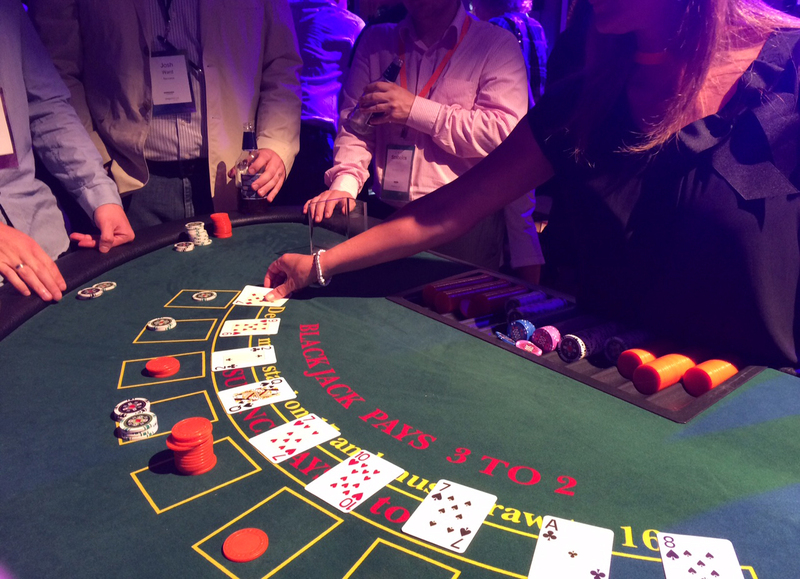 WeÂ can now add casino night to that list as Magento attempted to bring a bit of Imagine’s Vegas charm to London. Luckily no real money was involved so I didn’t have to spend the night on theÂ streets of Waterloo. Magento, those breakfast croissants were sublime. Bravo! The pitchfest was basically half an hour of various companies coming to the stage to sell themselves in 90 seconds. I liked the fast-paced natureÂ of the sessionÂ but itÂ was otherwise a bit uninteresting. The startup success session was engagingÂ and featured 3 success stories from 2 merchants who chose to useÂ Magento, and the Magento community’s very own Ignacio de Paula who gave us a detailed account of how Ebizmarts grew as a company. It was interesting to hear how their product and service offering changed so many times over the course of their history. The key is to keep your product base simple and manageable. I came away with some great insight and information on how to go about setting up your business. The overwhelming takeaway from this session is that you should focus initially on a niche and grow organically. If you can find a niche then you can get your foot in the door of a market and use Magento as the platform to help you grow your business. Your product base should be manageable but at the same time you need more than 1 product to sell as Christopher Ward’s Mark Bennett reiterated. He also made a point about protecting your brand – there’s no need to be so cheap that it affects the brand values you’ve worked hard to achieve. 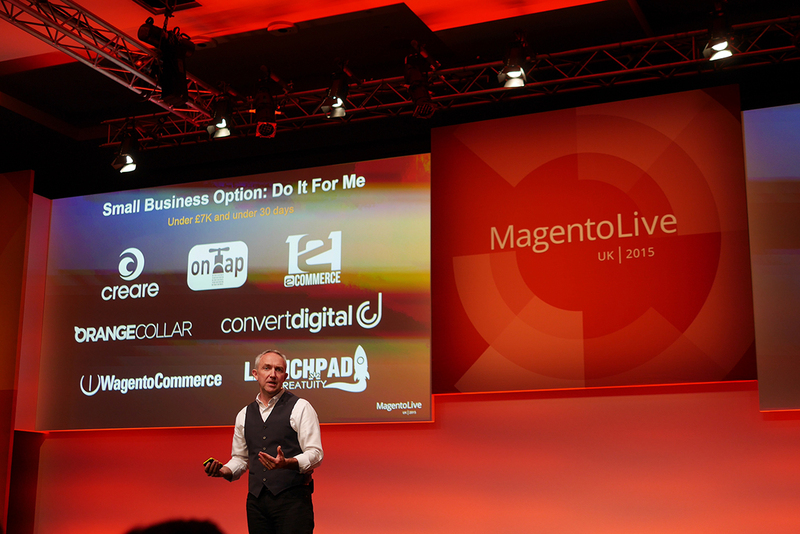 The day’s general sessions were presented by Ben Pressley, Head of Worldwide Sales for Magento. HisÂ first talk focused on how businesses should achieve excellence in customer service in order to differentiate themselves in their respective markets. The next guy to take to the stage was Gordon Henderson from AXA insurance who delivered a humorousÂ and at timesÂ controversial account about how AXAÂ have changed how they approach to life insurance. His remarks about targeting Afghanistan as a growthÂ opportunity for life insurance drew nervous laughter from the audience. 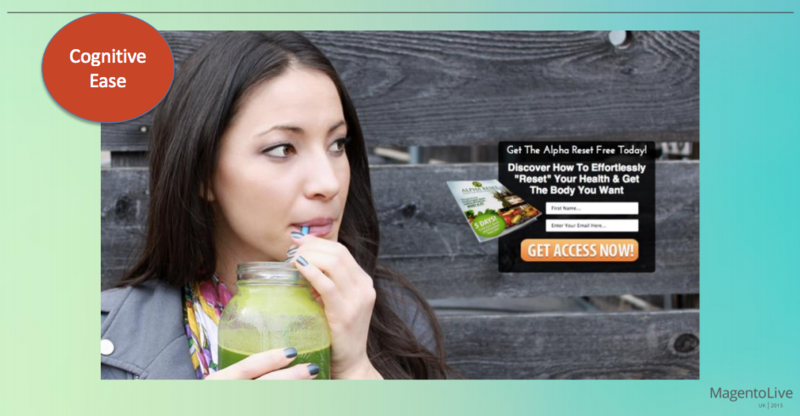 Anyway, in the wake of a new (supposedly) healthier society, AXAÂ have used Magento to offer a range of health products and services. Loss aversion is also another good technique to use in your email marketing and promotional material on your site. Lines like ‘1 day left’ will help convince people they cannot afford to miss the offer. Use emotion to get your users emotionally invested in your offer. The way you word your emails and promotions can make a real difference. Use words that evoke an emotional response (such as memories of better times). Call to actions should be worded appropriately. The word ‘submit’ is not very descriptive or reassuring to a user. We then saw a video of how toymaker Hornby have transformed their online business since switching to Magento Enterprise. The video was so well done it made me want a model train set of my own! A Nestle spokesman also discussed how they have distributed their new BabyNes range into 30 markets in 18 weeks in 2015 through their Magento website. 30 international markets in 18 weeks…? Someone at Nestle deserves a pay rise. Firstly, it’s worth pointing out that MagentoÂ 1 will continue to be supported following the release of Magento 2 with several patches and releases on the horizon. 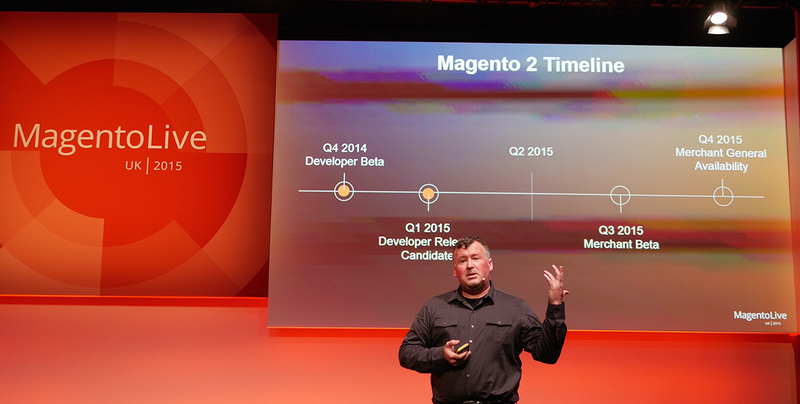 The Magento 2 roadmap was shown to us by Head of Product Management, Paul Boisvert. The good news is that all targets have been hit so far and the Q4 2015 GA release is still very much on track. In addition to the release of Magento 2 GA,Â Magento confirmed they are working with all the big players in the extension marketplace to get their extensions ready for the Magento 2 launch (including ourselves). There’s also a data migration tool available for migrating product and customer data from your M1 store to your new M2 store – this will not be able to export any theme data though. We were treated to a flashy video showing the features and improvements made to the new version of Magento Connect which is due for release in the near future. Myself and many other community members have felt frustrated with the old Magento Connect for a long time, in particular the fairness of the review system. The new Magento Connect promises a new review system which is fair and transparent. It will also provide in-depth analytics on the number of downloads and sales that have been made. The best part though is that it looks much better. A clean and informative design replaces one which has grown slow and tired after years of disservice. Another great conference put together by Magento. The content was very engaging this year and it was great to catch up with the Magento Community. As a side-note I was also delighted to hear the positive response that CreareSEO is getting from almost everybody we spoke to. Going forward, we have decided to dedicate much more time to improve and support this extension to help make it the #1Magento extension for SEO. I’d also like to give a shoutout to the guys at Webshopapps for their continued support via social media. Things are looking really good for Magento, the customers and the community. The story will surely have moved on considerablyÂ at next year’s conference.